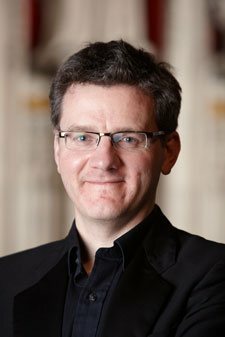 Stephen Williams began his conducting career in Yorkshire with Leeds University Chamber Choir. 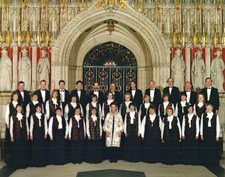 Since then he has been Musical Director and Chorusmaster of many British choirs, including the BBC Daily Service Singers, the Royal Scottish National Orchestra Chorus, St George’s Singers (Manchester), St Endellion Festival Chorus, Manchester Chamber Choir, Manchester University Chorus and, from 2002 to 2017, The Chapter House Choir. With Uppingham School Chapel Choir – where he was Director of Music until 2018 – he performed in New York, Cologne, Brussels, Malaysia, Singapore and Hong Kong, as well as at the Royal Albert Hall for the Royal British Legion’s Festival of Remembrance. Stephen has a particular interest in the relationship between choral music and composers, which has led to The Chapter House Choir regularly commissioning new music. He has run workshops and singing days for many choirs, as well as for the ABCD and Making Music. Stephen was a Tutor in Choral Conducting at the Shrewsbury International Summer School, and a guest adjudicator at the 2011 Mainhausen International Choral Competition. Stephen retired as our Musical Director in the summer of 2017 after 15 years at the helm. Jane Sturmheit studied singing at the Guildhall School of Music where as a member of the Chamber Choir and London Symphony Chorus she was fortunate to work with choral director John Alldis and conductors such as Solti, Colin Davis and Boulez. 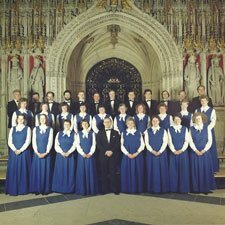 After completing a Post Graduate teaching course at London University Jane became Head of Music at Lady Lumley’s School, Pickering and it was then that she first sang with the Chapter House Choir under Andrew Carter. During this time Jane became conductor of the Chanticleer Singers, Malton, which she still directs today. 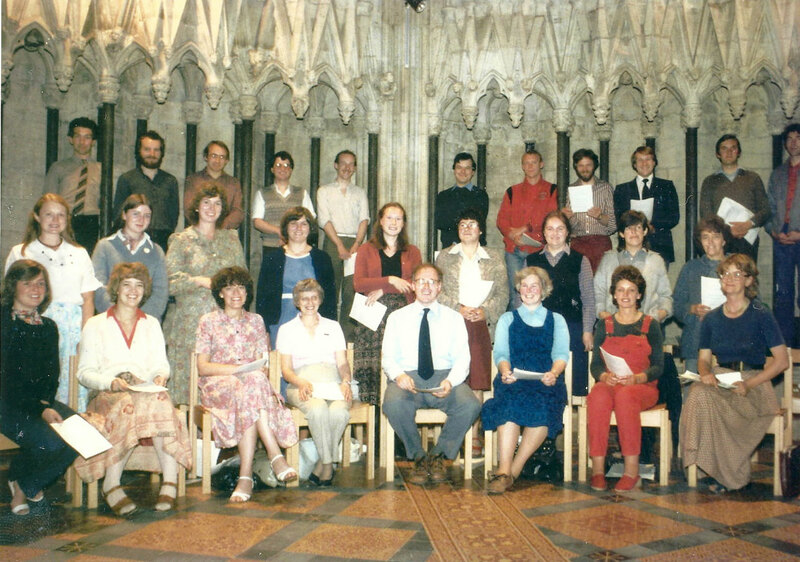 Jane became director of Chapter House Choir in 1990 and thoroughly enjoyed her twelve years with them. 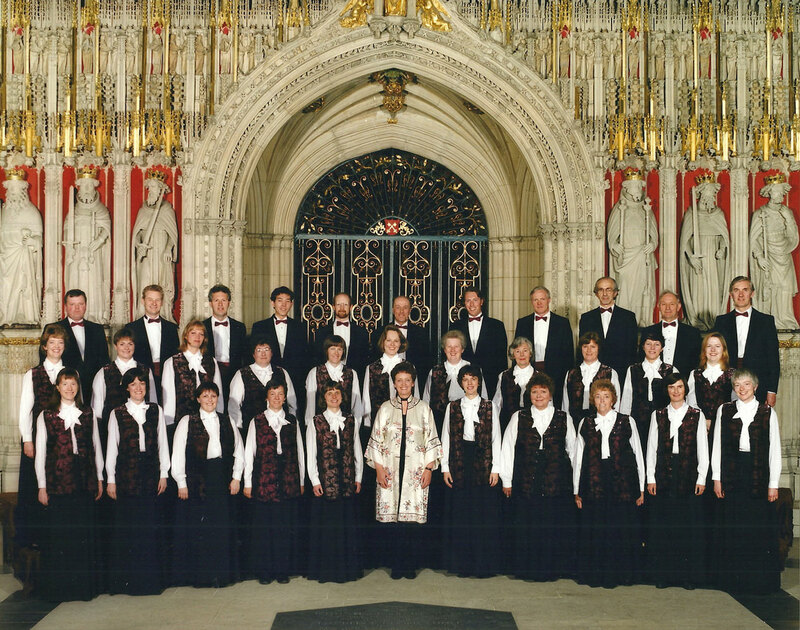 Under Jane’s leadership the choir made several recordings, worked with BBC radio and television, as well as performing in the UK, Germany, Holland, Italy and Hungary. Jane was the first woman to be MD for Songs of Praise. 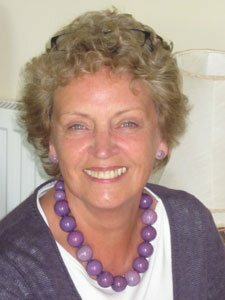 Jane taught singing at ARRTS International and York Sixth Form College and then Queen Margaret’s School Escrick, where she worked for 25 years. In addition, Jane has been a mezzo soprano soloist in the North Yorkshire area for many years. Andrew Padmore conducts choirs and orchestras internationally. He is currently resident conductor and artistic director of the Yorkshire Voices (300 voices), Yorkshire Philharmonic Choir and Harrogate Choral Society, but has worked with diverse forces ranging from small chamber choirs at the BBC and the Chapter House Choir in York to the largest symphony orchestras and choirs like Huddersfield Choral Society. Andrew is in demand as a guest conductor for the major choral repertoire throughout the UK and abroad. Soloists in recent concerts have included Dame Emma Kirkby, Patricia Rozario, Mark Padmore, Alfie Boe, Sir Willard White and Michael George. Andrew also directs choral and orchestral workshops in schools, colleges and universities in the UK and as far afield as Singapore, Hong Kong, Malaysia, Kenya and Zimbabwe. In the orchestral sphere he is particularly well known for conducting summer outdoor performances of “Last Night of the Proms” type concerts, attracting audiences of many thousands, and working with instrumentalists such as Alison Balsam, Nicola Benedetti and Emma Johnson. Before launching himself as a freelance conductor, Andrew studied conducting under Sir Adrian Boult. He was Director of Music in an established grammar school and Cathedral Organist and Master of Choristers at Cork and Belfast Cathedrals, giving organ recitals in many of the British cathedrals and major concert halls. He also played both violin and trombone professionally. 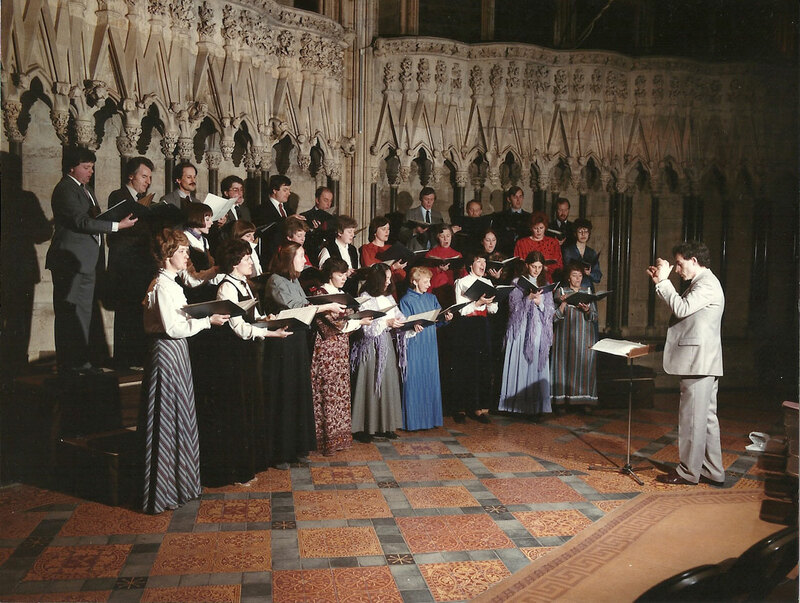 However, in 1989, after further academic study, Andrew left full-time cathedral music to concentrate on his work as a choral and orchestral conductor, lecturer and master-class clinician worldwide, and it was at the beginning of this time that he spent a short period as Conductor of the York Chapter House Choir. Andrew is a busy adjudicator/jurist for international choral festivals and an examiner for the Royal Schools of Music. 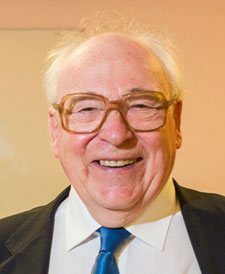 Recognition of his achievements include honorary doctorates and diplomas, and being elected as Warden for the Incorporated Society of Musicians. Further details can be found at www.drapadmore.co.uk. Born in Scotland in 1948, Peter Young was educated in England. He was a Choral Exhibitioner at Jesus College Cambridge, and later a Lay Clerk at Guildford Cathedral. As a composer, arranger and singer, he performed in a variety of venues around the UK including St Paul’s Cathedral and Westminster Abbey, before coming to York Minster as a Songman, and later as Director of Music at the Minster Song School. 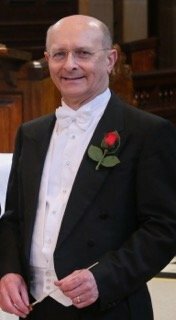 During his time as Head of Music at York College for Girls, Peter was appointed Musical Director of the Chapter House Choir in 1982. 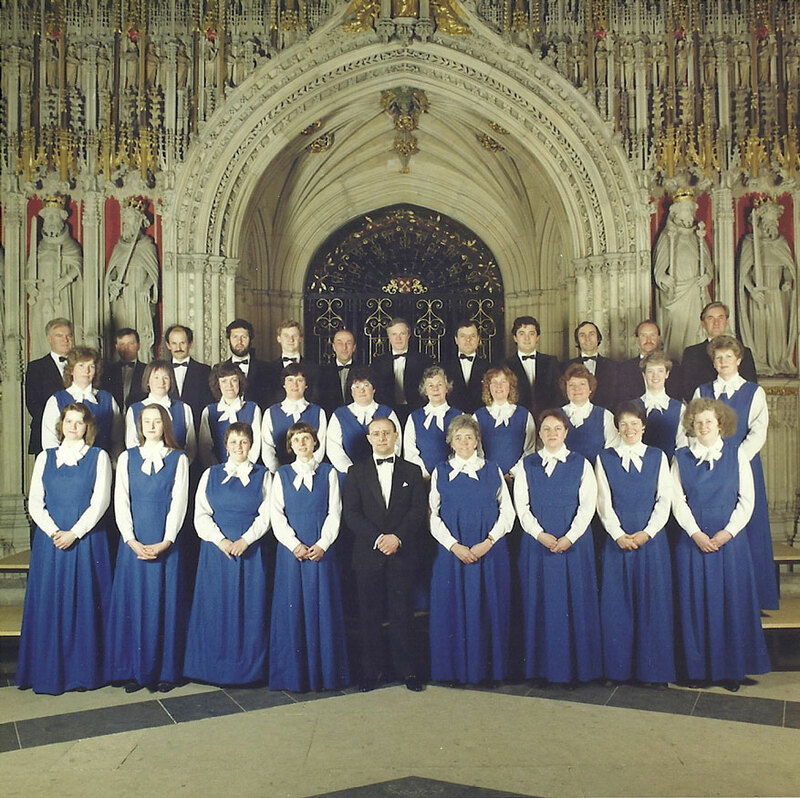 Under Peter’s direction, the choir toured Hungary, as well as reaching the semi finals of the Sainsbury’s Choir of the Year competition in 1986. 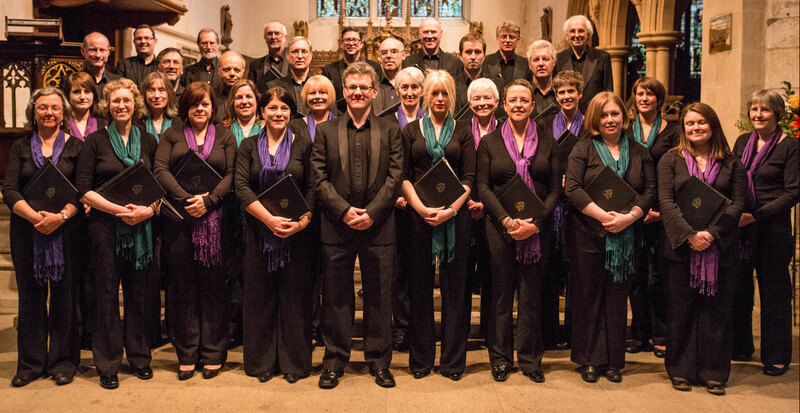 The choir also celebrated its 21st birthday during that year, culminating in the performance of a special commission by Derek Bourgeois entitled ‘Past and Present’. Andrew’s music is performed worldwide. As composer and guest conductor he has travelled extensively in the United States, Antipodes and Europe. A twenty-five year association with Oxford University Press established Andrew’s reputation as a writer of both choral miniatures and larger scale concert works for chorus and orchestra. A particular honour was the invitation to write Missa Sancti Pauli for the tercentenary celebrations of Wren’s St Paul’s Cathedral. Over the years several of Andrew’s carols have been included in the Christmas Eve broadcast from King’s College Chapel, Cambridge. An album of organ pieces including the popular Toccata on Veni Emmanuel was followed by the 22-variation Passacaglia, written to honour Francis Jackson’s 90th birthday, and premiered by John Scott Whiteley in York Minster. Born in Leicester, Andrew studied music at Leeds University. 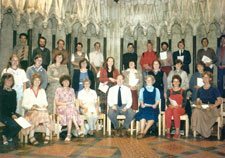 Joining York Minster choir as a bass songman in 1962, Andrew went on to found the Chapter House Choir, which he directed for seventeen years. After an early career of teaching music at the chalk face, Andrew retired from the classroom to concentrate on composition.